Hello whomever reading my blog! I haven’t posted in a while, but I have good reasons for it. In December, my house got an extension in the attic that is called a dakkapel in Dutch. This translates to a dormer, which is a word I just learned about! So it’s not exactly a neat nor super fancy craft room, but it serves a purpose and I was on a budget. Since adding this extension was already a good heap of money, I didn’t want to spend any more money. 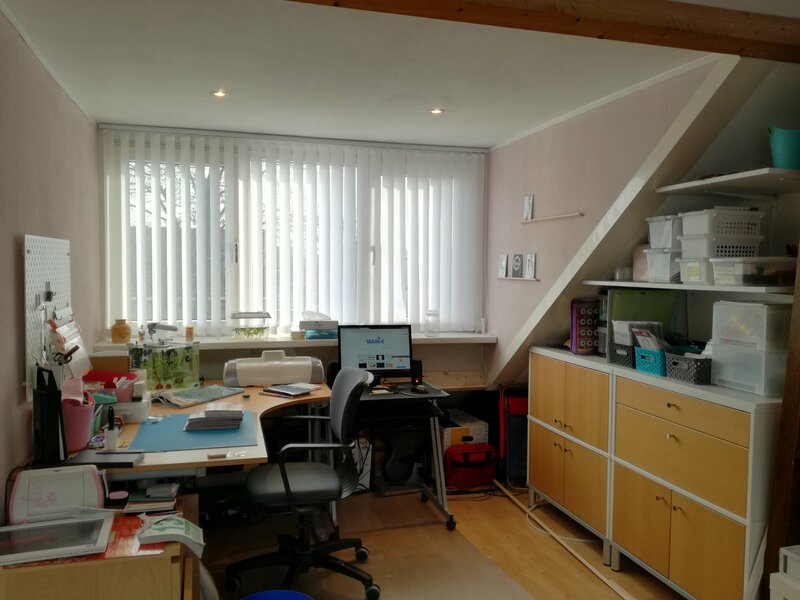 I did end up buying a few things for my new craft area, and that would be the black/turquoise/grey baskets, the IKEA Skådis pegboard, and the small computer desk. 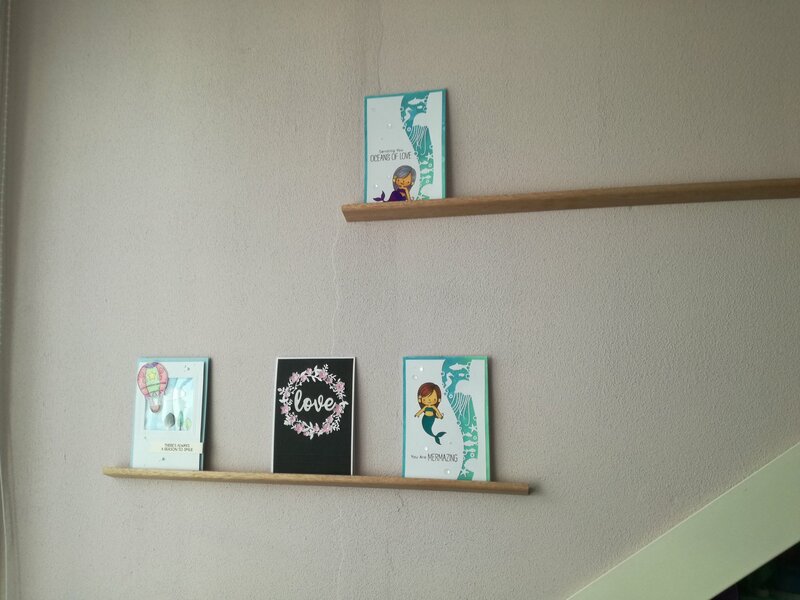 The shelves are also new, as well as the card display. My dies and clear stamps have all been organized now! I made my own clear plastic pouches out of clear sheet protectors for the stamps and larger dies. To make them, I measured the size I wanted and melted/cut it with a soldering pen. The normal dies I bought 100 plastic CD pouches. 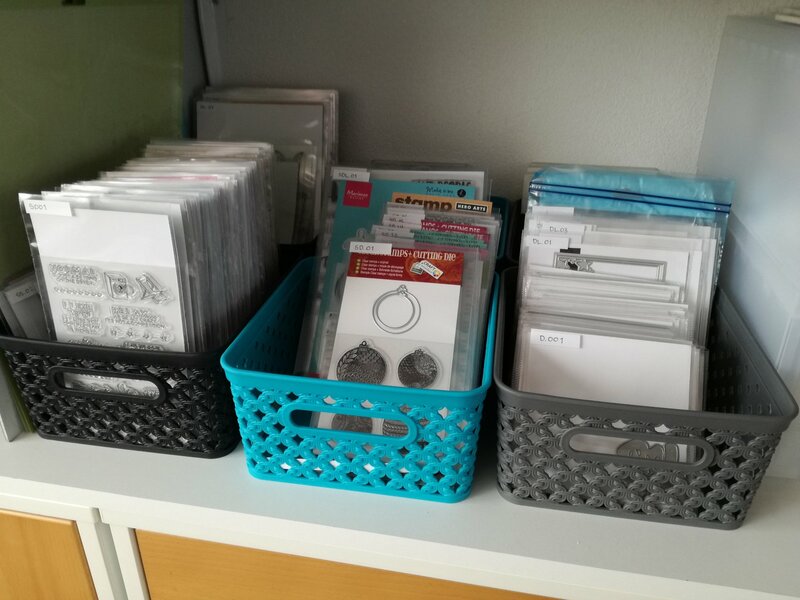 Then after everything was in place, I cut paper to size for each pouch and placed labels with a self-made code to categorize my stamps and dies which I can easily reference in EverNote. 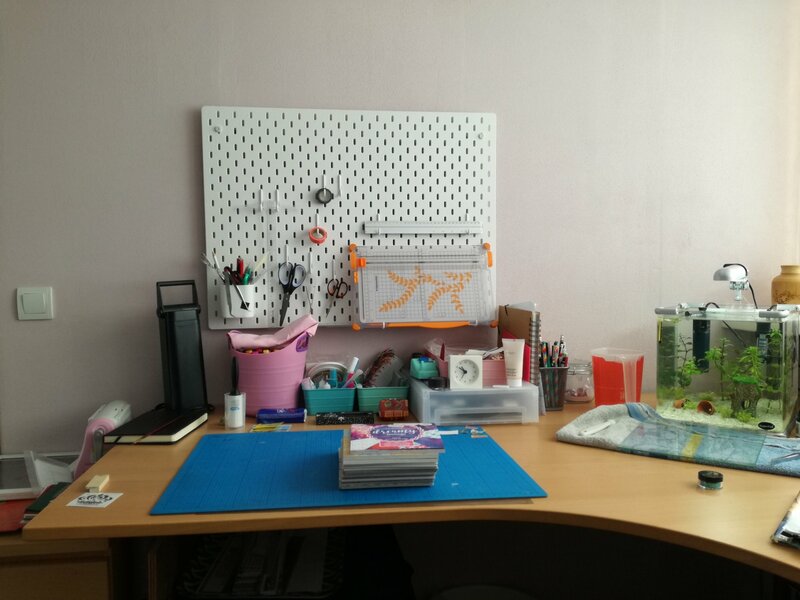 For my pegboard, I’m still a little lost on what else to put on it, that’s why it’s a bit empty at the moment…. And the card display was a little “hacking” of my own. It’s actually a long piece of finishing wood (usually for covering corners of things) cut to size and then glued onto the wall with montage glue. Finally, my little aquarium! 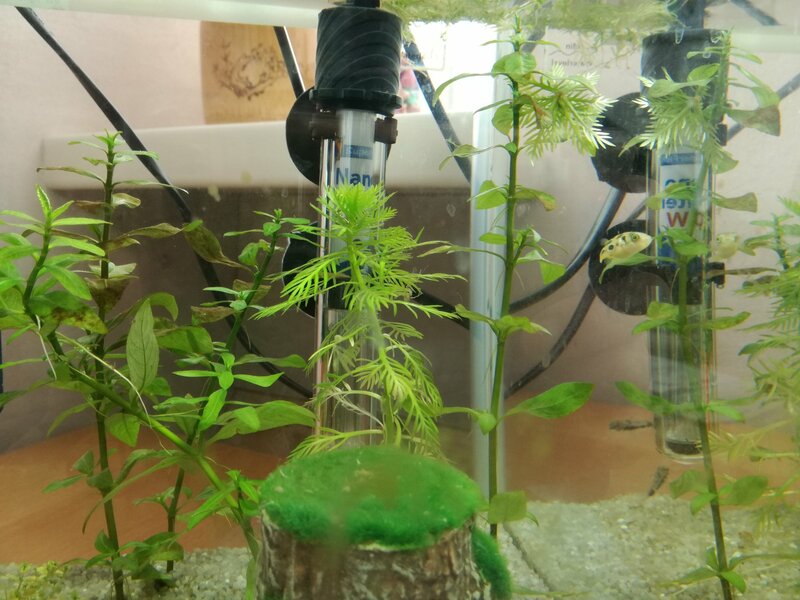 In it are three fish: Bobi (dwarf puffer), Salt and Pepper (cory habrosus). They are a joy to watch and dwarf puffers are like tiny fish-dogs. Bobi gets excited when I feed him, and he will watch me when I’m working at my desk. Eventually he gets bored and tired and retire into his little home or swim under a leaf. So I hope you enjoyed my textual “tour” of my craft room. Please feel free to ask any questions, and as always, creat a little happiness today!